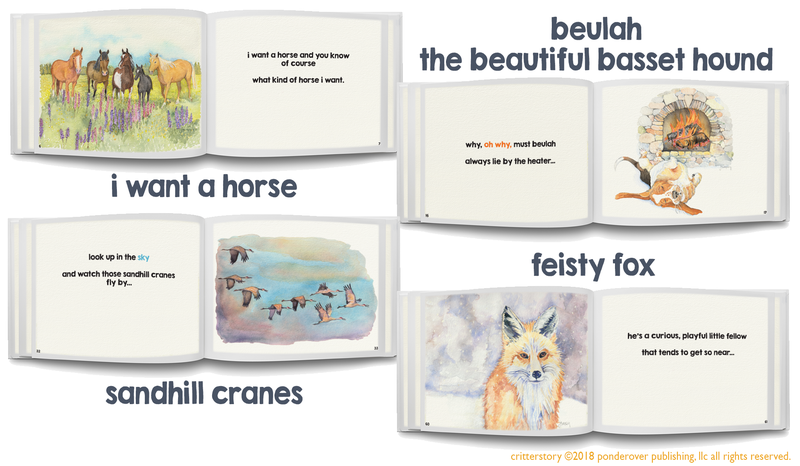 when niki (critterstory author) was 7 years old she wrote a song about wanting a horse, which is the first poem in critterstory. niki has been singing her horse song to friends and children ever since (whenever she sees a palomino). special thanks to ben winship for writing the musical score to ‘i want a horse’ for children to learn! and special thanks to bob burns and his daughter keelee for singing and playing mandolin! when niki was 10 years old her teacher had students write a poem for class. beulah was niki’s dog at the time, and “beulah the beautiful basset hound” came out of that assignment (the second poem in critterstory).